We are committed to supporting institutions to improve their student engagement activities and mechanisms. Course reps and course systems are fundamental to an institution’s ability to enhance learning and teaching. Part of this support is about the training that is provided to course reps, but there is more that can be done at the institutional level in terms of systems, procedures, polices and activities that ensures that reps play an integral part of the enhancement agenda. A framework for developing an opportunity profile for course reps - a tool you can use to help think through how to articulate the role of course rep to students, in a way that is clear, attractive and understandable. A course rep lifecycle, from the point of view of the institution - to help you plan out activities that support and inform the course rep role. Mapping Your Rep Activities - a session plan that will help to gather information on the strengths and weaknesses of the current system as well as any opportunities and threats. It also helps you define what a course rep does at your institution and what they have to do to be effective in their role and who is responsible for what. Self-Assessment Tool - to help you break down the different policies and activities associated with course reps; it also provides a structure to identify areas for enhancement. Throughout 2016 we redeveloped these materials and others to create a single, integrated set of toolkits on developing course rep systems. We will update on this work in due course, but in the meantime you can see a consultation on the proposed toolkits that took place at our November 2016 Academic Representation Coordinators' network. Between 2015-16 we ran a series of events for staff in institutions and students’ associations who have responsibility for managing Course Rep Training. This included roles such as developing training materials, recruiting and supporting trainers, and providing ongoing development support to course reps throughout the year. 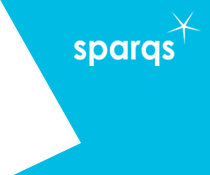 The aim of this network was to share effective practice, develop actions for enhancement, and inform the work of sparqs. However, based on discussions with participants, we changed this network for 2016-17 to have a broader and more developmental scope, covering all areas of staff support for academic representation beyond just course rep training. Details of that new Academic Representation Co-ordinators' Network can be found here. Meeting 1: Monday 27th April 2015 - see the event page for the materials from the event, including a 'Storify' of the Twitter feed throughout the day. Meeting 2: Tuesday 10th November 2015 - see the event page for the materials from the day. Meeting 3: Wednesday 17th February 2016 - see the event page for the materials from the day. Meeting 4: Tuesday 26th April 2016 - see the event page for the materials from the day. For more information on any of the above, please contact Simon Varwell.